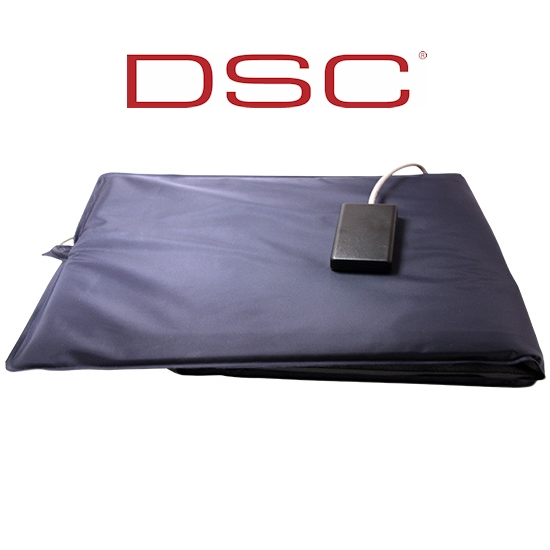 The Alarm.com ADC-BOS-BC23-DSC is bed sensor system with DSC trasmitter for secure independant homecare and senior living. The ADC-BOS-BC23-DSC is intelligent enough to monitor overall quality of life and provides a critical safety net. Using discreet wireless sensors throughout the client's living area, the Alarm.com wellness suite of products grant caregivers real-time insight into each client's current conditions as well as potential emergency problems. With the ADC-BOS-BC23-DSC you are kept alert through automated phone calls, text messages, emails, and access to a securte web portal. It utilizes customized trend analysis and early detection of changes in Activities of Daily Living (ADLs) to give providers evidence-based data to support changes in levels of care, while enabling individualized support across the care continuum. Unlike emergency pendants, the ADC-BOS-BC23-DSC reports changes in sleeping and eating patterns, bathroom visit frequency and medication adherence. The solution connects DSC security sensors, lights, locks, thermostats and video, as well as bed sensors, alert buttons and sensors for medicine cabinets and refrigerators, enabling discreet but comprehensive monitoring of the home. Wellness is also compatible with the latest in hands-free voice control. With Amazon Echo and Google Home, it's easy and simple to control things around the home. Wellness' multi-unit management service can also help professional caregivers and community staff operate more efficiently. Data-driven insights keep the staff better informed of residents' immediate needs, and enable them to make custom recommendations that match the right level of care to each resident's long-term needs. Use the Alarm.com AirFX Add a Sensor page or the panel interface to add the bed sensor to the account. Set the New Sensor Information as shown in the chart to the right. For testing, the sensor can be tampered by pressing and holding the red button on the transmitter box for 5 seconds, until the red LED illuminates, and then releasing the button. After the sensor is added to the system, change the sensor type to Occupancy by doing the following: From the Equipment page of the Dealer Website, click Change to the right of the sensors name. Select the Change Sensor Type action, and update the new sensor type to Occupancy.